Yesterday we adopted a kitty! She’s still technically nameless, but we’re working on it. She’s 4, and has the most social and talkative personality. So far she spends most of her time prancing around the apartment meowing and purring away. She loves to smash her head right into you, jumping up into the air to catch your hand along the side of her face. She kept us awake a bit last night with her rummaging and crashing through things on the bedroom dresser, but a great deal of the night was spent curled up in the center of the bed. I’d say she’s fitting in just fine! 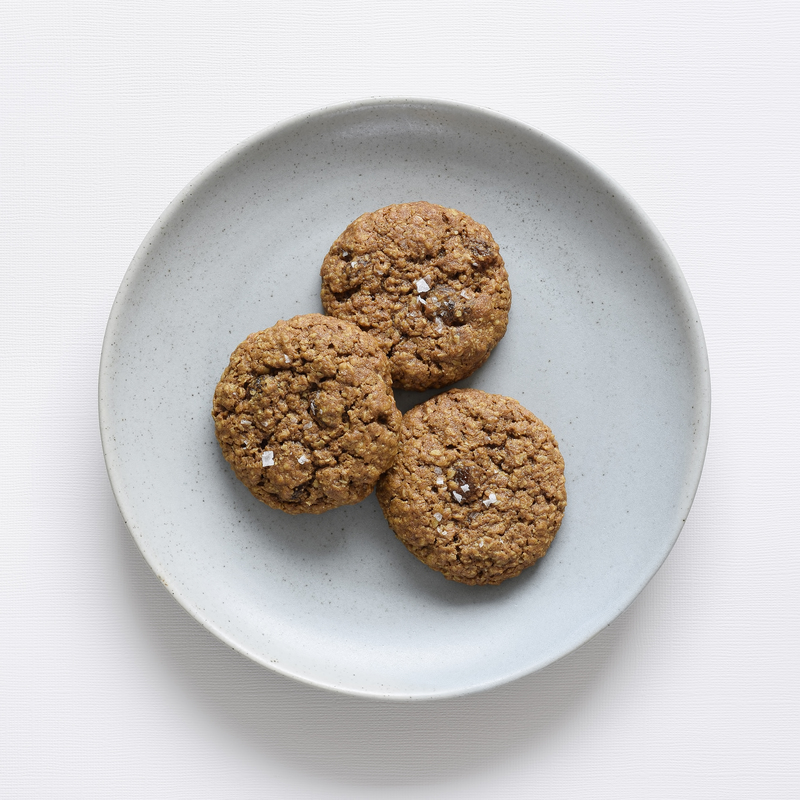 Thought I’ve got a great recipe for classic chewy oatmeal cookies, I still always search out new ones. Today I’ve got the urge to make them but I don’t want to bore you with a recipe I’ve already shared… so here’s a new one. They’re delicious too, chewy with a good balance of sweet and salty. -cream together the butter, sugar, molasses, and salt with a paddle attachment for about 3-4 mins. -add the egg and cream until combined well. -whisk together all of the remaining ingredients and then add to the mixing bowl, cream on low to medium speed until smooth, then refrigerate for 30-45 mins. -roll into balls approx 1-1.5 TB in size, and place on a prepared baking tray at least 2 inches apart. -press each cookie ball down by about 1/3, sprinkle with a few pinches of flaked sea salt, and bake for 13 minutes. Cool the cookies on a wire cooling rack until they’re room temperature, and enjoy! Hey Ash, Kitty is so cute! I love that he is a short hair and is so affectionate. The cookies look delicious and now that we are back I will have to get back to baking and trying more of your interesting recipes ! You’re back?! You’re back!! I’ll give you guys a call…. ! Congratulations on your new family member😊The cookies look delicious! What a coincidence! 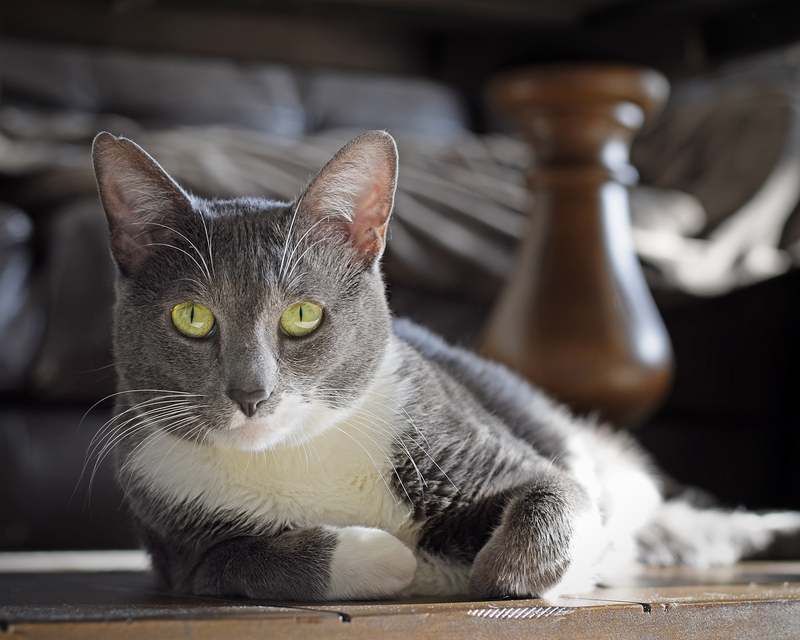 I adopted a 4 year-old gray and white cat several months ago! She looks friendly. I love cats. Oh my gosh she is such a cutie! Congratulations on your new addition to the family!!! Cute kitty – love those big green eyes!